The world is in turomoil. I hope so. I wasn't sure if it was 5 or 6. The evil [redacted] is out to kidnap [redacted]! The evil [redacted] is out to kidnap [redacted]! In this sequel to [redacted], you play as [redacted]. That's a lot of redacted info. SCP: Containment Breach? The evil [redacted] is out to kidnap [redacted]! In this sequel to [redacted], you play as [redacted]. Your goal is to successfully carry [redacted] back to his parents in [redacted] while avoiding all of [redacted]'s clever traps and evil minions. 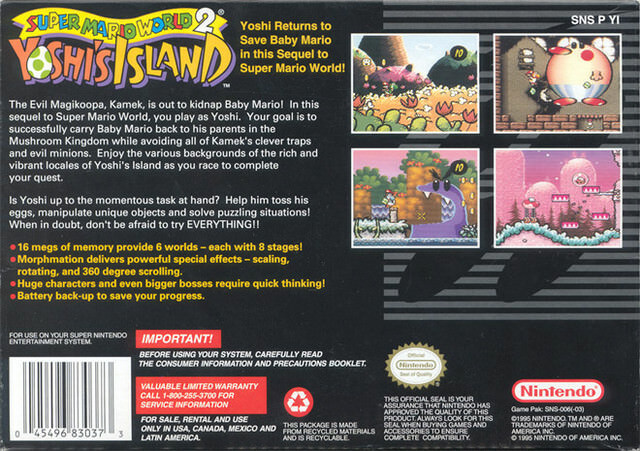 Super Mario World 2: Yoshi's Island?